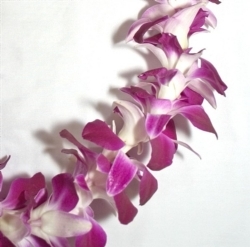 Order a fresh orchid lei for your favorite 8th-grader to wear at the promotion ceremony. 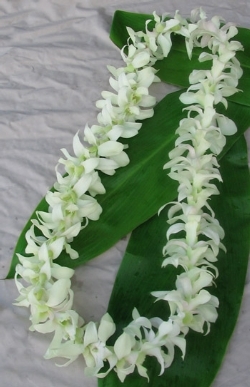 Leis are offered in white or purple single strands of orchids. There's also a kukui nut lei that will last forever. Each lei is $26. Please see the form below to fill out and return to the office with your payment. Checks may be made to Hart Middle School. Leis will be delivered to students right before promotion when they're with their advisement teachers. That's why it's important to make sure you list the correct advisement teacher on the order form. The deadline to order is TBD. This is a fundraiser hosted by Hart's leadership students. Go to our School Store to order online.